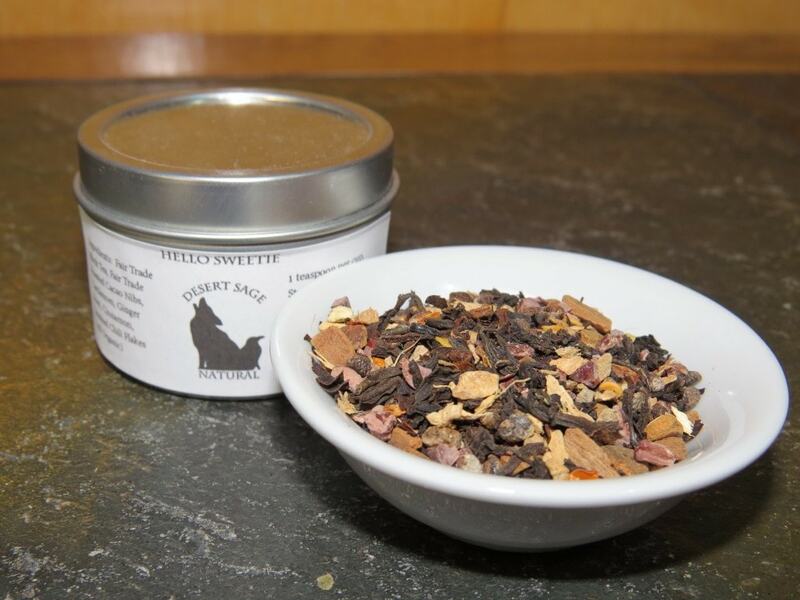 Combining our love for tea and our love of geekery is one of the lovely things Desert Sage Natural allows us to do. Once we began making teas to salute the Who-ni-verse I found myself pondering various characters, wanting to create tastes for them. In considering River, I decided she would certainly not be vanilla, and the tea for her would have to be spicy. This set of thoughts dovetailed well with an email from an old friend mourning a chocolate tea she could no longer drink, as it contained licorice. Mister Tea and I discussed it, and decided we would craft a chocolate chile chai. 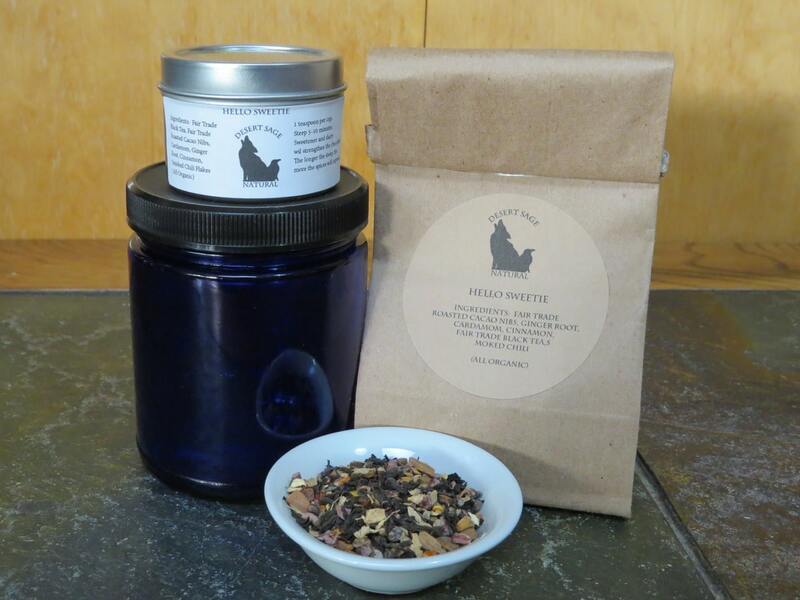 ‘Hello Sweetie’ is a black tea with cacao nibs, smoked chile, and an array of chai spices. It has been exceedingly popular with various house guests, and is one of my favourite chais. This entry was posted in Black Tea, Chai, Chocolate, Simply Tasty Teas, Spicy/Hot and tagged Doctor Who, Doctor Who Tea, Geek Tea, Organic Black Tea, Organic Cardamom, Organic Chai Tea, Organic Cinnamon, Organic Fair Trade Black Tea, Organic Fair Trade Cacao Nibs, Organic Ginger, Organic Smoked Chile, Simply Tasty Tea, Whovian Tea by DesertSage. Bookmark the permalink. Love. Lovelovelove. Will be getting more. Very friendly seller. Shipped quickly, packaged with care. Thanks! This tea is superior to anything I’ve bought in a grocery store. Best chai ever, hello sweetie…. chocolate chilli chai. I’m in love. Will be ordering a big batch soon.